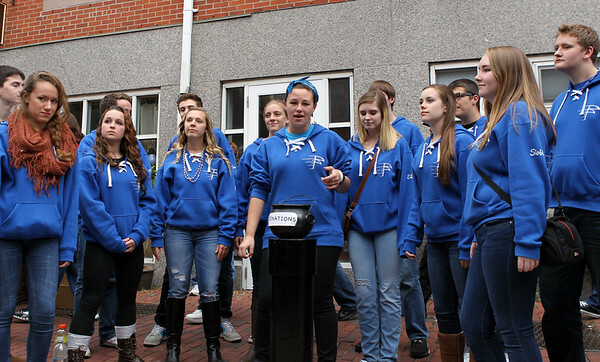 The Danvers High School a cappella Falconize performs in the Essex Street pedestrian mall on Halloween afternoon. DAVID LE/Staff photo. 10/31/14.